However, 6 are available from other sellers. By Terry was established in 1998 by make-up artist Terry de Gunzburg, the trailblazing industry legend, who over the past 30 years has changed the face of beauty. 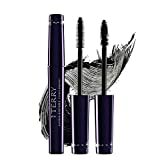 After spending 15 years as Creative Director at Yves Saint Laurent, where she created the cult classic Touche Éclat concealer pen, she decided to launch her own collection of products and so By Terry was born. This ultra-luxurious collection of makeup and skin care products has become a modern day favourite, as it combines convenience with efficacy seamlessly to leave a professional quality finish every time. The Lash Expert Twist Brush features an innovative brush system that can provide both longer, separated lashes by simply brushing without twisting or alternatively twist as you brush to create thicker, curled lashes.